Pulled our FS 27BHWS out of storage this weekend and found that the hot water line to the kitchen faucet was not connected. I have the female threaded part that screws to the bottom of the faucet along with washer and rubber seal. Can someone explain how this works? Is this a compression fitting? Can I just re-assemble the parts or is it a use once then replace? Thanks! That PEX plastic elbow should have had a cinch/pinch band on the part that sticks up just like the one on the end with the red PEX. If it did have a clamp it either wasn't pinched correctly or often those inexpensive plastic elbows simply don't hold under the pressure of cinching the clamp. The clamp can not be reused. 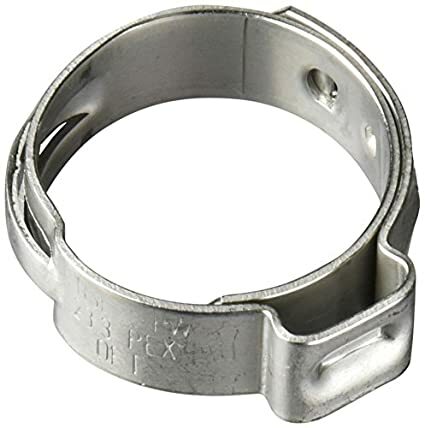 You didn't show a photo of the piece of PEX that connects to the elbow (and goes to the faucet) but you should be able to see from a marking on the PEX if a clamp was ever installed or possibly missed somehow. It is also possible that a piece of braided white hose connected to that elbow held on with a screw type hose clamp. Until we'd see the other piece that attaches to the elbow we are speculating. Did you winterize your rig? Maybe it froze and pushed the line off the elbow or broke that elbow? In any case I would replace that plastic elbow with a good brass PEX elbow and two new PEX clamps. 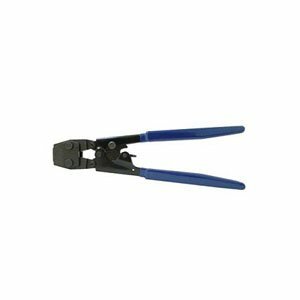 You'll need a PEX tool to compress the clamps. The tool can be rented at places like Lowe's and Home Depot or bought on the internet for $25-30. The fitting in your picture has sheared and can’t be fixed. The easiest solution for you is to get a 1/2” SharkBite x 1/2” MIP (male iron pipe size) adapter. 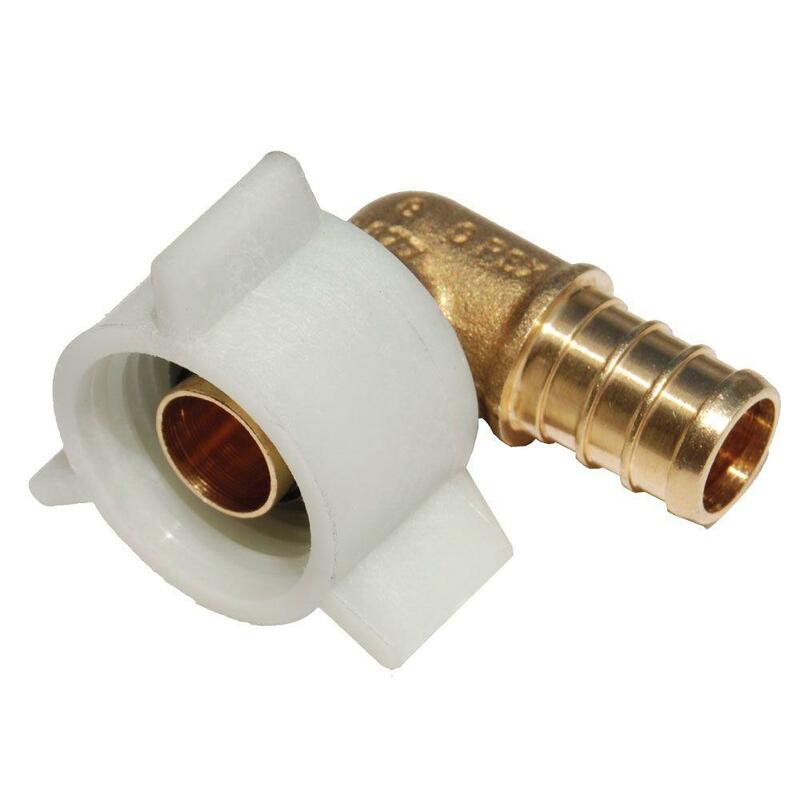 Cut that fitting off of the PEX, push the SharkBite fitting onto the PEX and buy a 1/2”x1/2” flexible supply line to connect the SharkBite fitting to the threads on the bottom of the faucet. Thank you both for your quick replies! 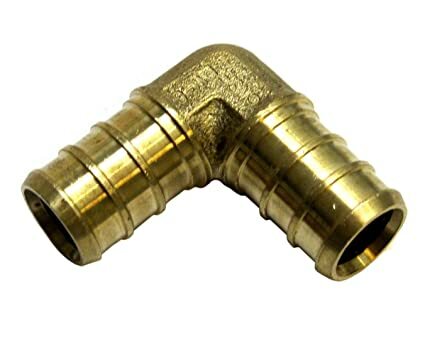 I went to two big box stores that are supposed to carry Sharkbite fittings and didn't/couldn't find the elbow with the female faucet nut. That made me think I really didn't know what I was looking at. Your pics and suggestions cleared up the mystery. Thanks! Not yet though the parts and tools are ordered. Should be here by the weekend.